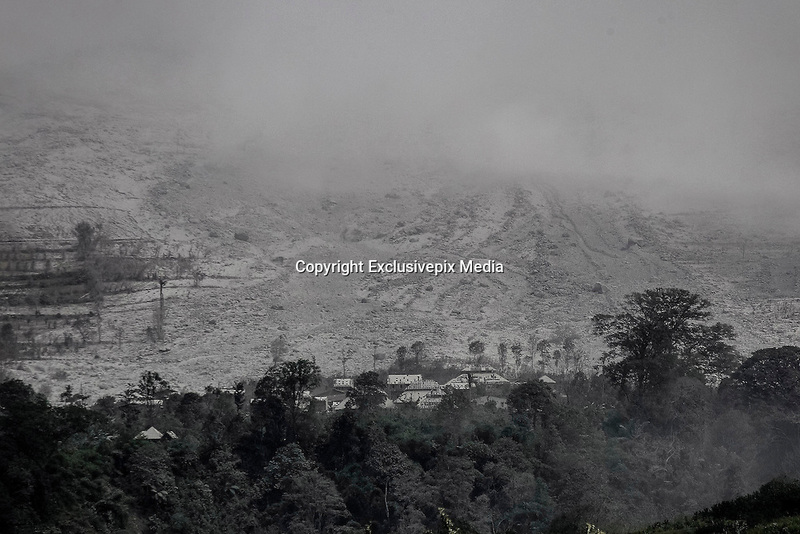 Resident's look on as volcanic ash spread from mount sinabung seen at Karo, North Sumatra, Indonesia. June, 28. 2015. Over 10.000 Residents living near the Mount Sinabung volcano on Indonesia's Sumatra island were told to evacuate following a sharp increase in volcanic activity.